Explosive Energy & Extreme Endurance! Explosive Energy & Extreme Endurance!Explosive Energy & Extreme Endurance! The world of fitness is going through its revolutionary era with the inventions of health supplements to achieve the body fitness goal. ABSN to stay in the league during the revolution phase is doing more of investments into research and development to produce amazing result oriented ground breaking products with the highest quality marks. The pre-workout has added a lot towards this revolution era. The Pre-workout supplement consists of creatine in combination to other ingredients in proprietary blends. 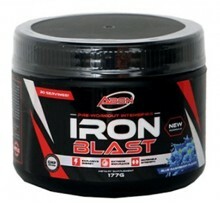 IRON BLAST – a ground shaking product of ABSN constitute to a good pre- workout supplement consisting of all the mandatory and essential ingredients. When it comes to long sessions of workout muscular pump play a vital role in a successful session. The bigger the muscular pump is, more will be the production of nitric oxide. ABSN IRON BLAST helps you to achieve a successful workout sessions by ensuring that you have a long lasting muscular pump. You will definitely feel the difference in one scoop with full energy. To burn the fat at a greater rate during the workout sessions. It is also used to promote strength and alertness after its consumption. Since caffeine is used to promote alertness after its consumption, one has to make sure that supplements based on caffeine should not be consumed within 6-8 hours of sleep or else it may result in disturbed sleep patterns.